Perennial. Zone 2. 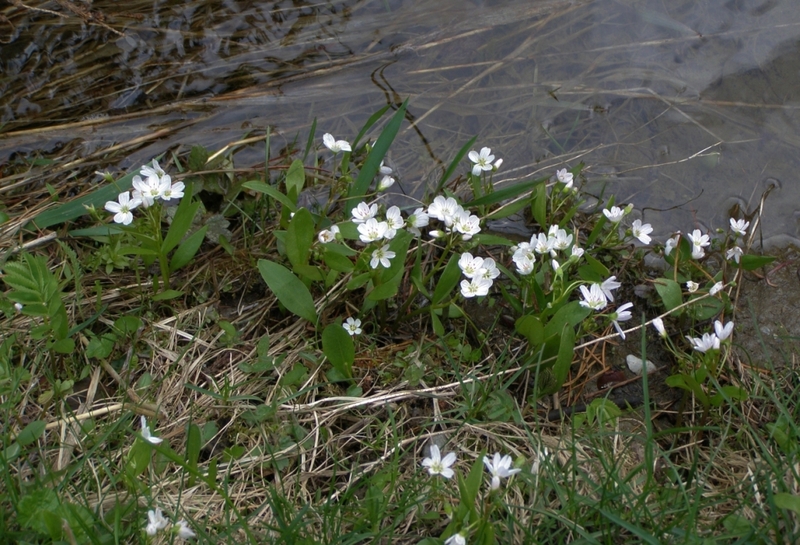 Lamiaceae. 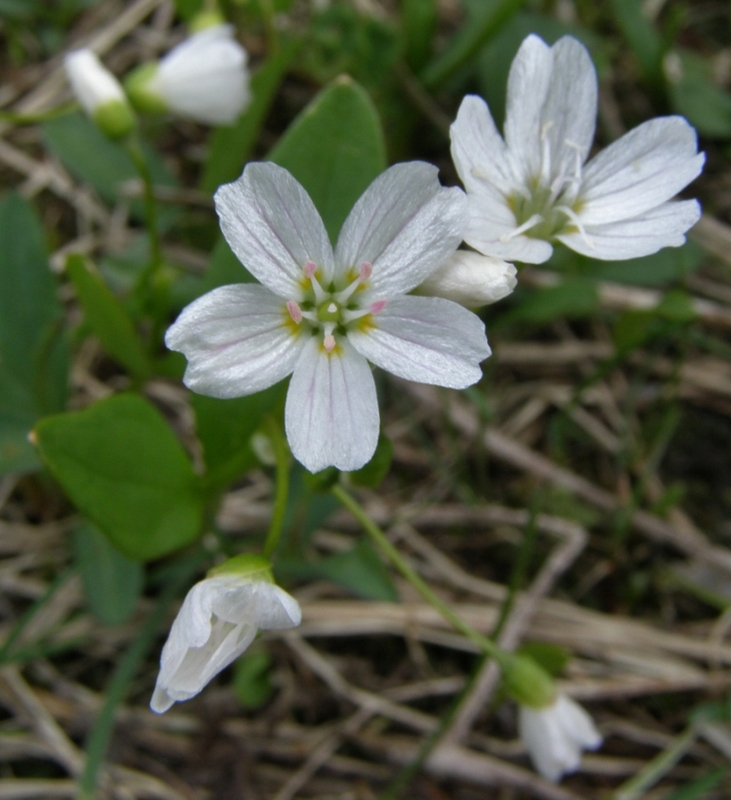 Native to North America, including the Okanagan, Thompson-Nicola, and Cariboo-Chilcotin regions of B.C. A.k.a. 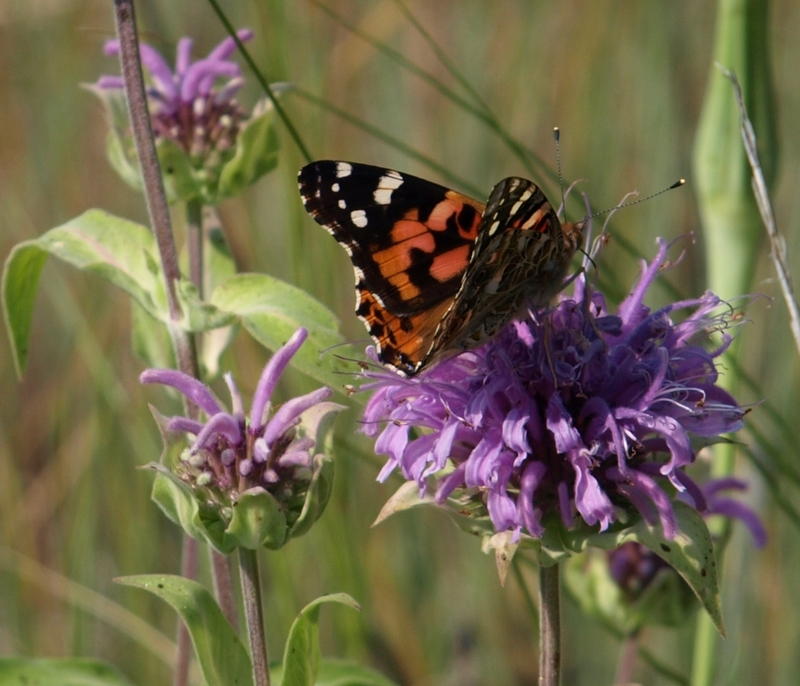 HORSEMINT, PURPLE BEE BALM. Monarda was the name given to this species by Linnaeus, after the Spanish botanist Nicolas Monardes, who published a well-regarded treatise in 1574 describing the plants of the New World, though Monardes himself never travelled there, and worked from specimens collected by others. 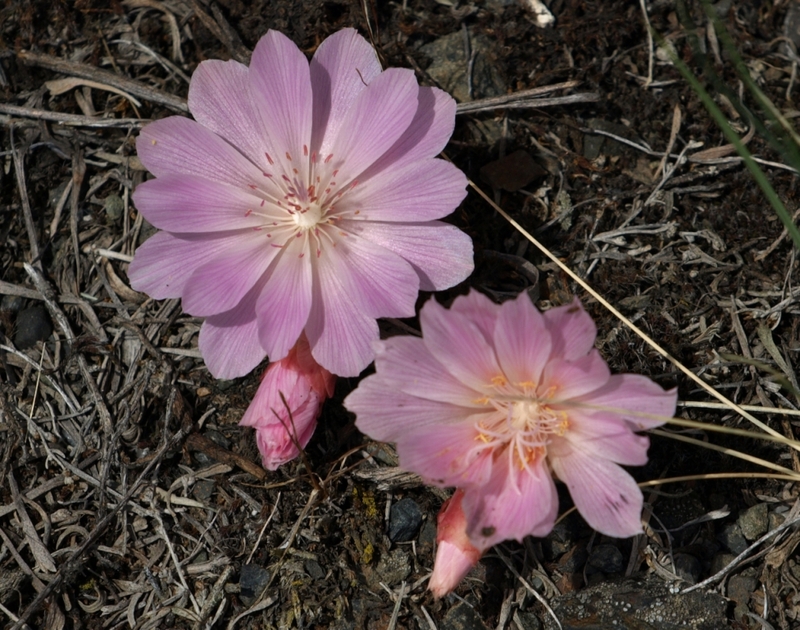 The Latin species name fistulosa = “hollow, pipe-like’, in reference to the tubular structure of the individual flowers. 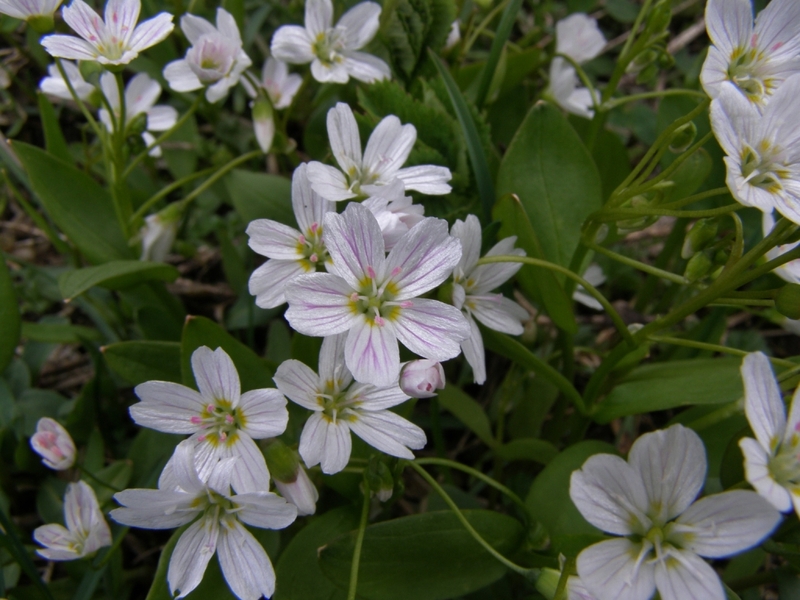 This is a somewhat variable but always lovely species native to prairie and foothills ecosystems. 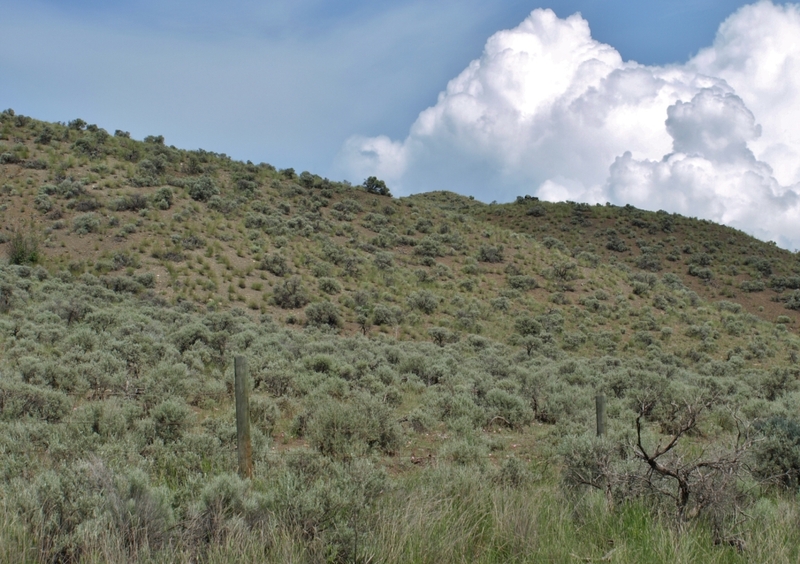 It grows wild in the Cariboo-Chilcotin on dry hillsides and on the fringes of Douglas fir forest throughout the Fraser River corridor at least as far north as Marguerite. 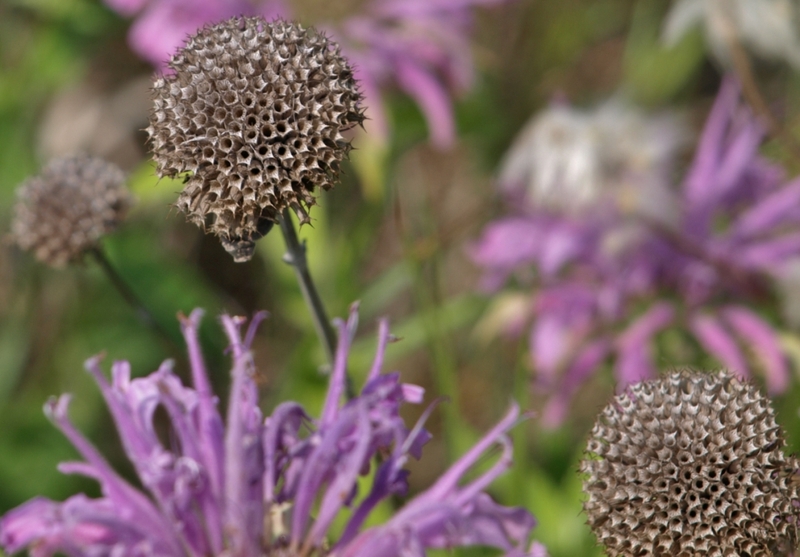 2014 was a stellar summer in our area for Wild Bergamot and many other wildflowers. 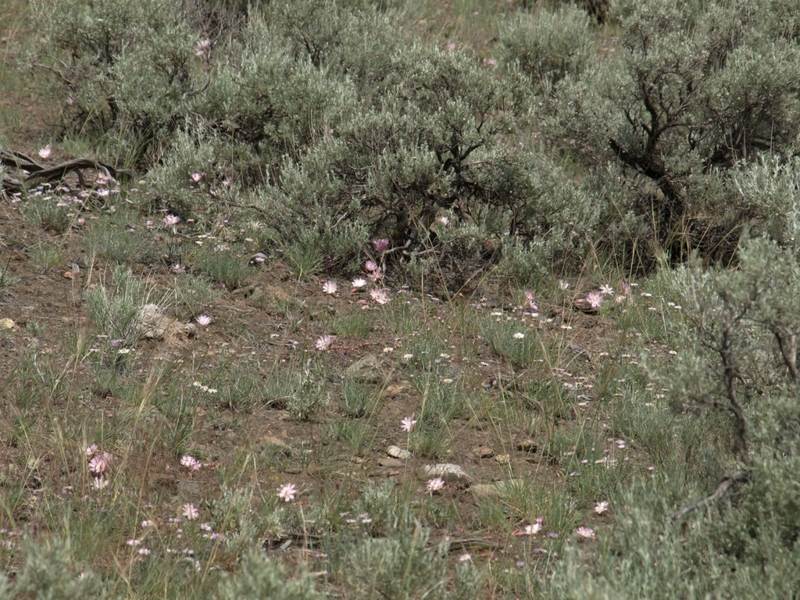 The hillsides around Soda Creek were ablaze with purple for weeks in June and July, as the bloom times of the aster-like native Showy Fleabane, Erigeron speciosus, overlapped with that of the Monarda. 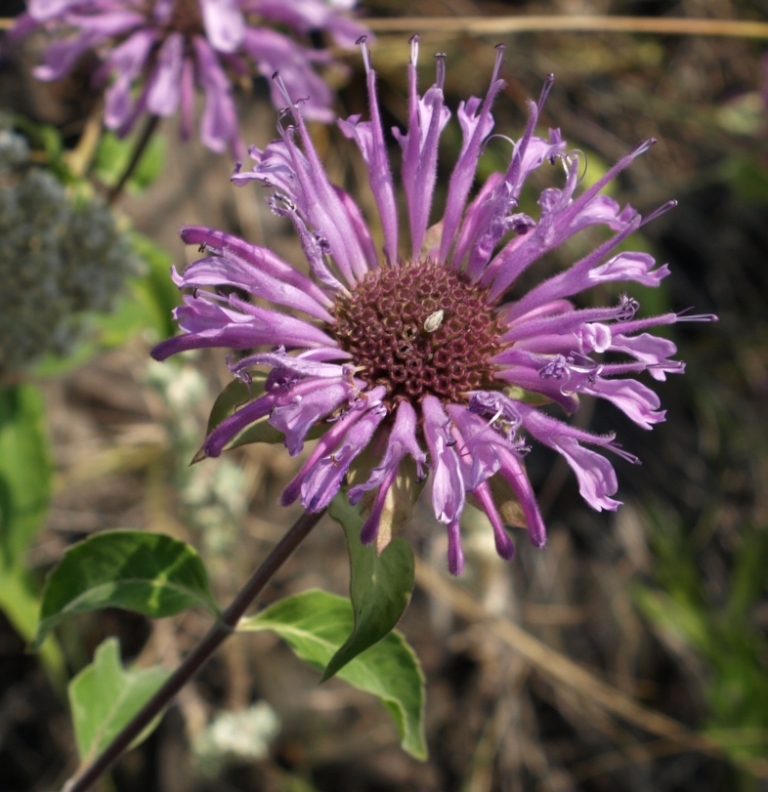 The First Nations peoples of the areas where Monarda fistulosa grows thought very highly of it as a useful plant. The strongly aromatic foliage, which is high in the compound thymol, was used in cooking and medicine, as a tea, insect repellant and smudge ingredient. European settlers appreciated it as well, in particular using it as a tea ingredient; the “bergamot” of the common name refers to the similarity of this species aroma and flavour to that of the Bergamot Orange (Citrus bergamia) essential oil which gives Earl Grey Tea its distinctive character. Wild Bergamot was adopted into domestic gardens as soon as specimens made it back to Europe and England, for its usefulness as well as its considerable beauty. Monarda fistulosa has been widely used in hybridization with others of the genus, in particular the showy Scarlet Beebalm, Monarda didyma, to produce a number of stellar Beebalm cultivars, such as ‘Violet Queen’, and the wonderful ‘Blue Stocking’. 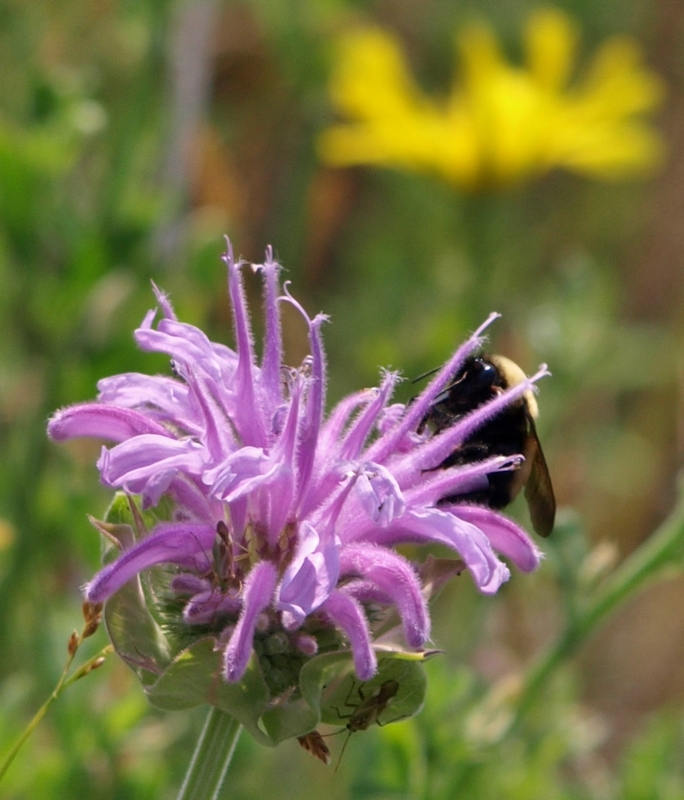 Monarda fistulosa is a grand garden plant in our area, and particularly useful in xeriscape plantings, though it also appreciates the richer, moister climate of the traditional perennial border. Sturdy clumps of 24 to 36 inch tall, square-sided, leafy stems are topped by large whorled clusters of pale lilac-purple “dragon’s head” blooms in summer. Shades range from almost-white palest lilac to a rich rosy purple; the norm is the shade shown in these images. The common name Bee Balm is very apt; these plants are highly attractive to bees of all sorts, to butterflies, and to hummingbirds. 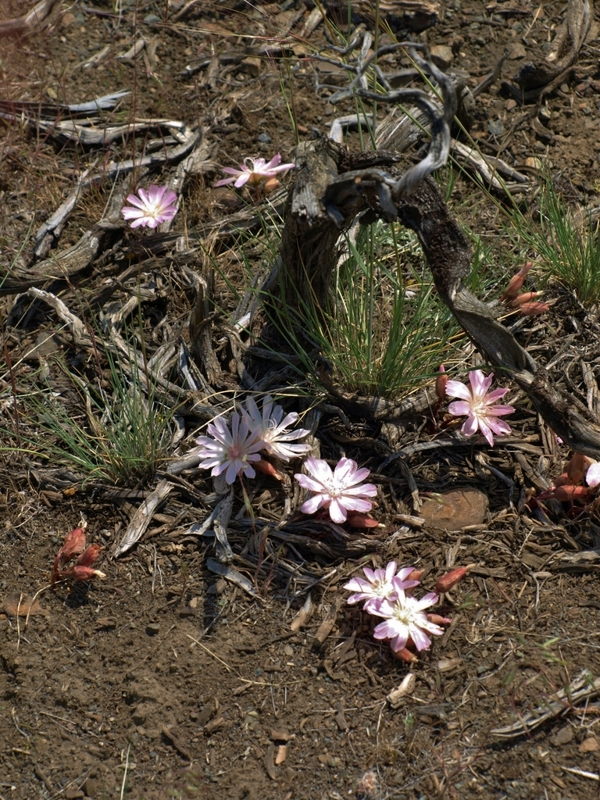 The tubular blooms are rich in nectar, and on sunny days the clusters are busy places, being “worked” flower by flower neatly around the floral ring by various foragers. 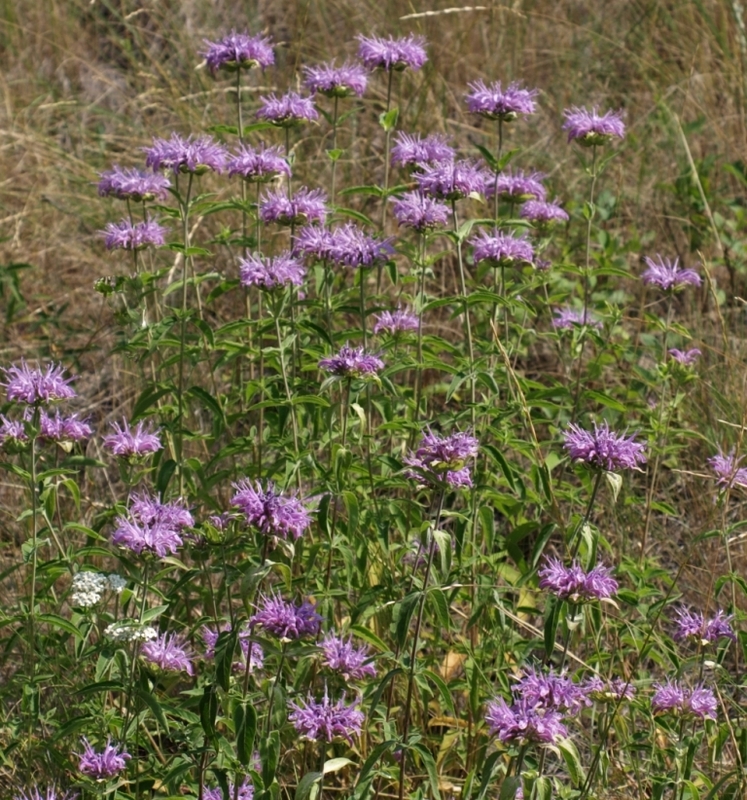 The Herb Society of America chose Wild Bergamot, Monarda fisulosa, as its Notable Native of 2013. Sun, average conditions. Very drought tolerant once established. 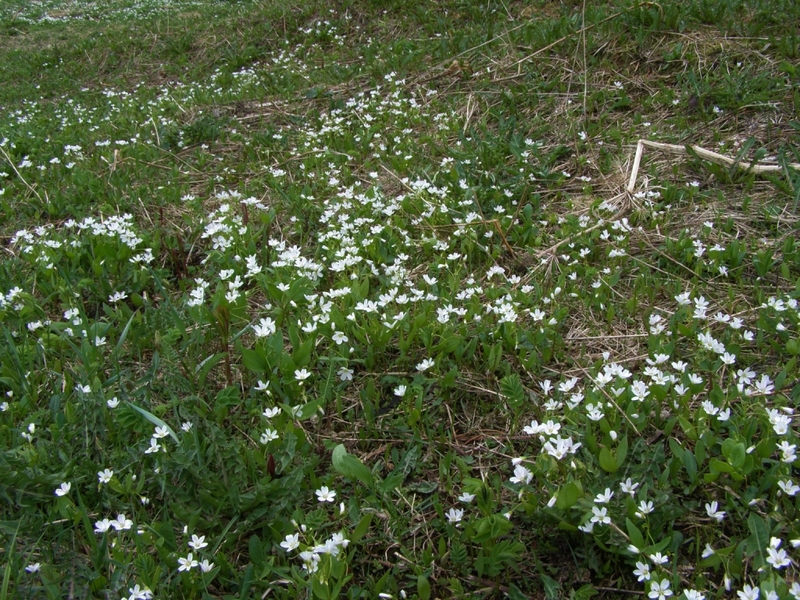 This species can be afflicted by the fungal powdery mildew in very dry years; cut back affected plants and dispose of the clippings away from the garden – do not compost – to reduce its future occurrence. 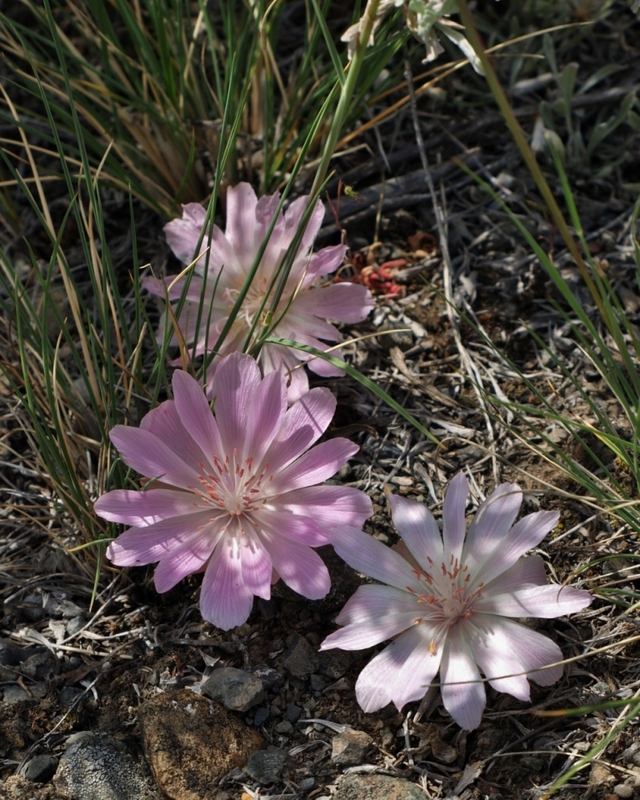 Occasional supplemental watering in very dry years, even in your drought-resistant xeriscape plantings, will strengthen plants and prevent such problems from occurring.